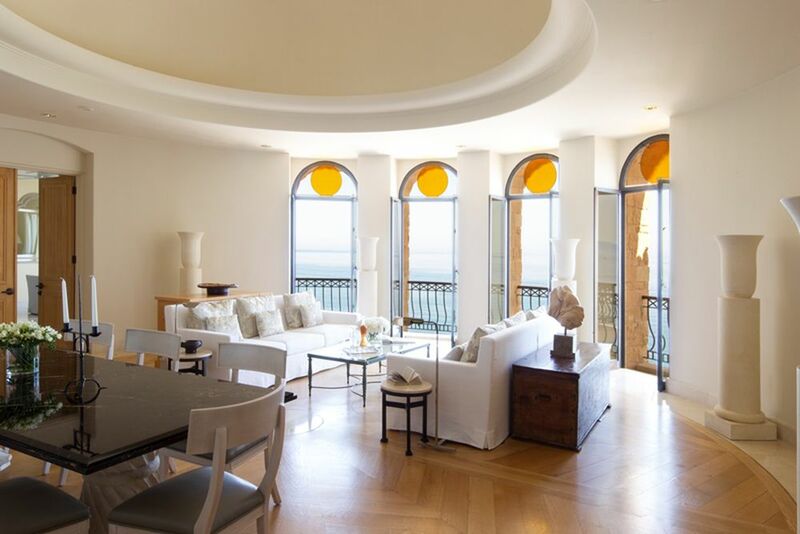 Discover this breathtaking panoramic view on your next holiday vacation! Idyllic charm prevails throughout Anassa. 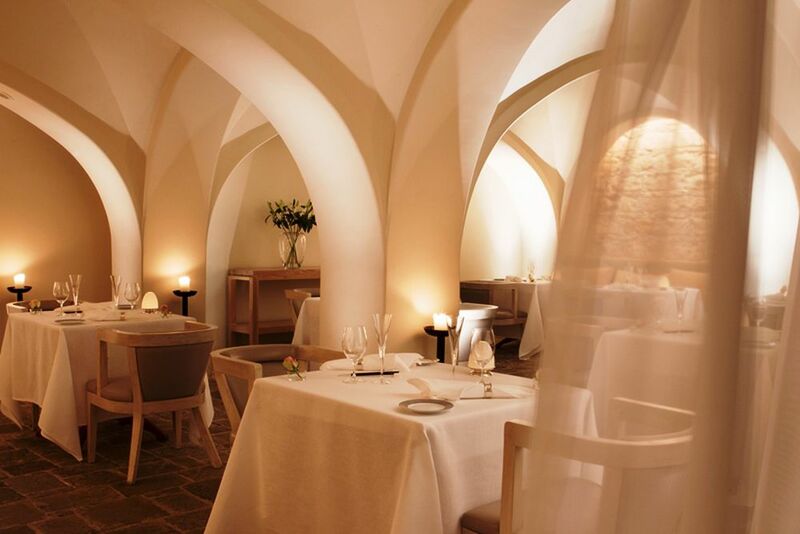 The Anassa impresses its guests with charm and a pleasant atmosphere. Enjoy the breathtaking view from high above. 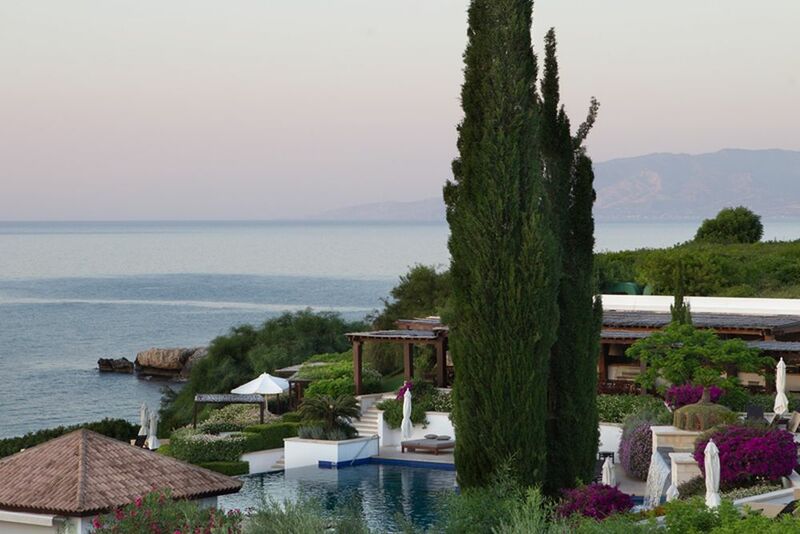 Mediterranean flair and a beautiful panorama awaits you in Anassa. The rooms are modern and tastefully decorated. The Studio Suite is a special retreat. 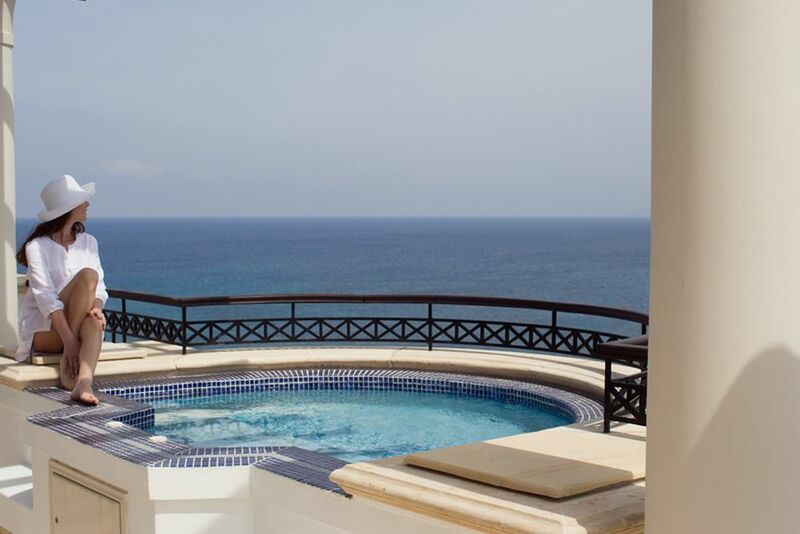 From your private Jacuzzi in the suite, you will experience an exclusive view of the sea. Anassa's high ceilings and color-coordinated interiors brings the atmosphere together. Thanks to your private pool, you can wake up undisturbed in the mornings. It is the many small details that make the rooms of the hotel so unique. 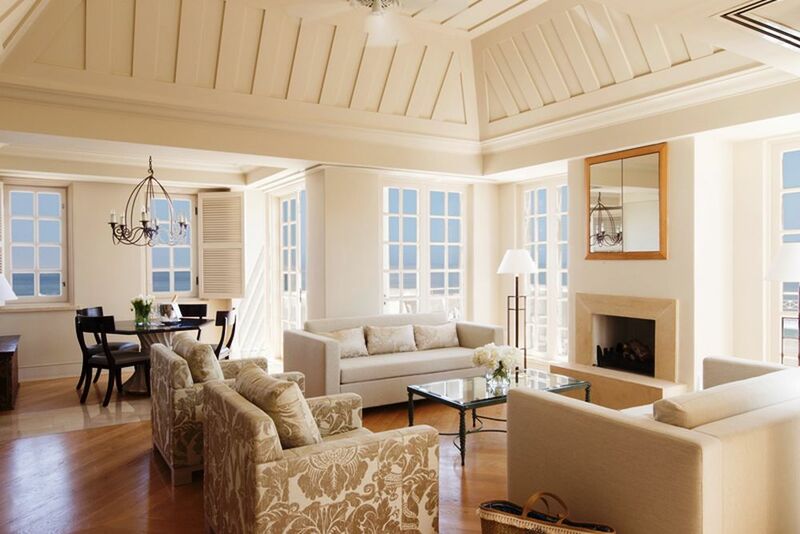 Let the fresh sea air blow through the large windows in your room. With the pool directly in front of your door, you can spend your days relaxing in the One Bedroom Suites. Kick back and relax in the living room of the One Bedroom Suite. 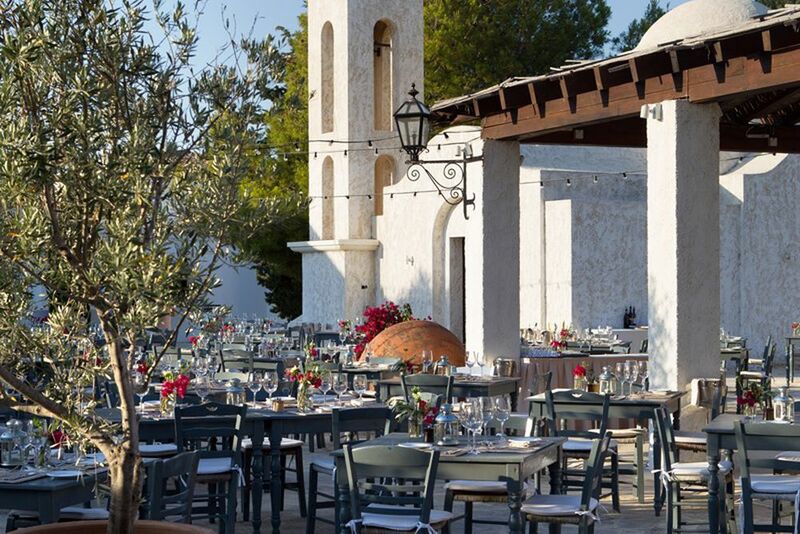 Basiliko Restaurant is located in a part of the Cypriot village that takes you back in time. Enjoy excellent food at Basiliko. The village square of the hotel is a popular meeting place. A noble atmosphere prevails in the corridors of the Anassa. Inside the hotel, there is a beautifully pleasant indoor pool. ... or on a sailing trip on the sea. There is no boredom here. 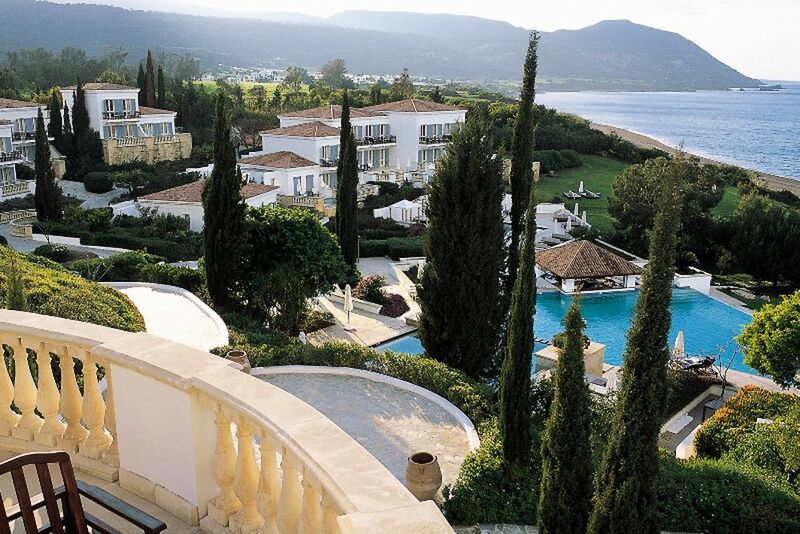 Let your dreams run free in the sun and salty air at the exclusive luxury hotel, Anassa. 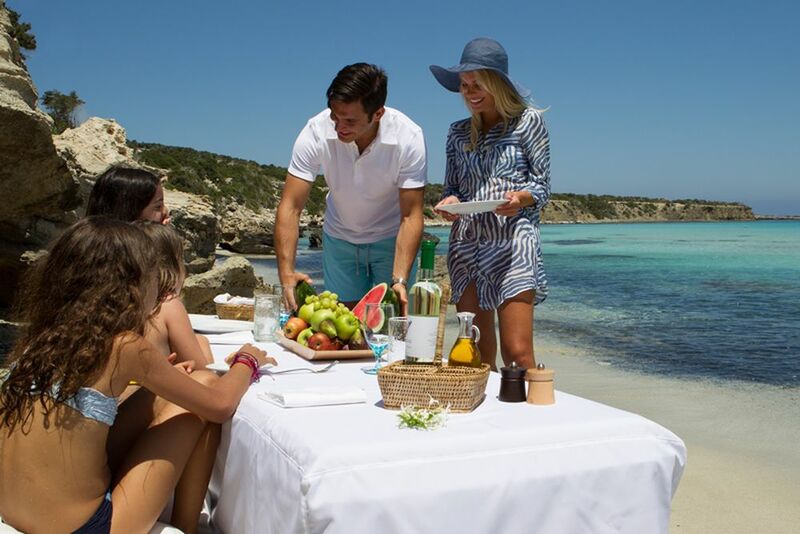 Located on one of Cyprus’s most beautiful beaches, it is a member of “Leading Hotels of the World” and awaits you to discover an unforgettable holiday. From the wonderful nature and beautiful beaches, to the excellent services and private atmosphere, it is the perfect escape from reality. 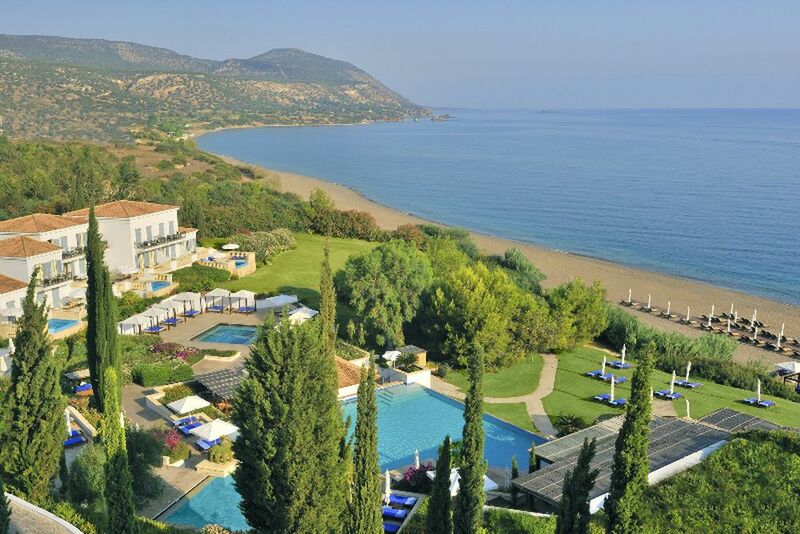 Stand above the Bay of Chrysochous and feast your eyes on the breathtaking views of the endless coastline and warm sandy beaches. 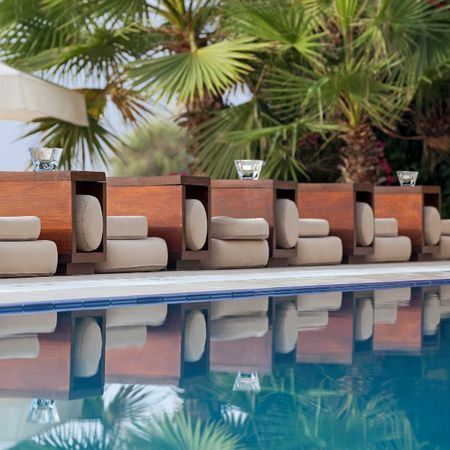 This perfect hideaway quenches your wanderlust desires when venturing into the unspoiled heart of Cyprus. 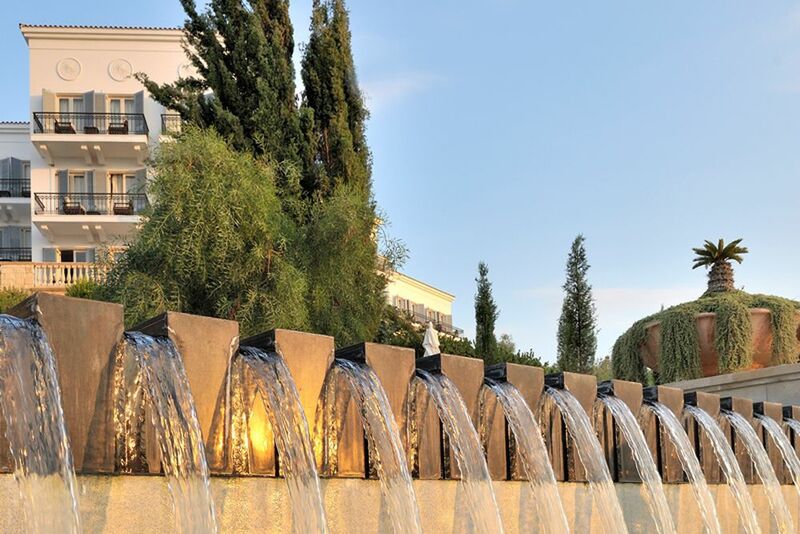 Architecturally modeled after Greek villages, Anassa nestles itself harmoniously into the surrounding landscape and overlooks breathtaking lagoons, pine clad cliffs and sandy bays. Venture to the Akamas Peninsula for ideal excursions to beautiful beaches, natural surroundings, and the famous baths of Aphrodite. Visit dazzling UNESCO marvels´, discover painted churches, and explore through the rugged Troodos mountains. With activities for the entire family, you will never be bored in the beautiful atmosphere of Cyprus! Larnaca Airport is around 170 km away and Paphos Airport is 55 km away. With a deep-rooted respect for tradition, Anassa invites you to dine at four fresh culinary restaurants and enjoy evening entertainment at two different bars. Supporting independent growers and producers, the restaurants combine their enthusiasm for heritage and creativity to delicious effect. The main restaurant, Amphora, savors your taste buds with its variety of themed buffets. 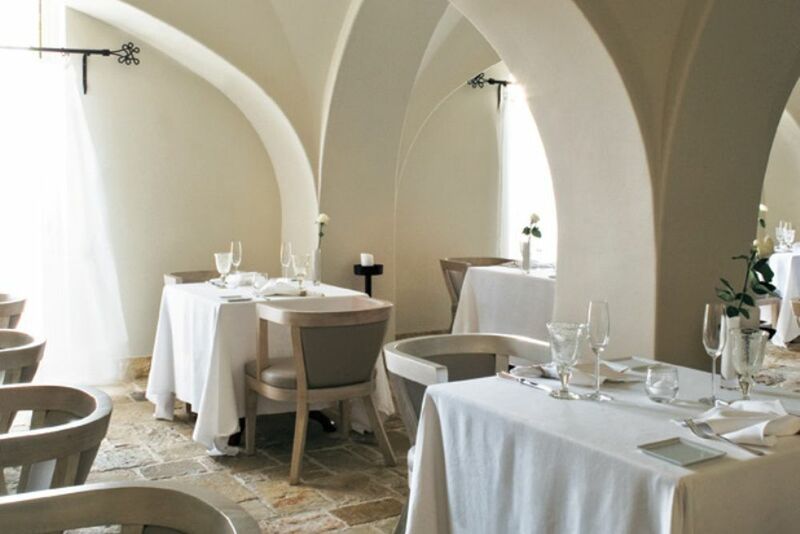 Culinary highlights and modern meals are found on Helios’s menu. For a unique combination of Asian and Mediterranean cuisine, dine at Basiliko. In a shaded al fresco tavern overlooking the pool, gardens and sea beyond, enjoy tasty Mediterranean snacks, meals and drinks at Pelagos. If the adults wish to spend some quality time together, Anassa offers only the best to the younger guests. Trained nannies are available to care for infants from the age of four months and older. The hotel also has a special offer called “Baby Go Lightly” program so your child is completely supplied before arriving. The comforts of diapers, highchairs, shampoos or towels are ready for your family and child in your room! Children up to the age of 12 are cared for in different children’s clubs. For kids from the age of 13, the teen club is available in July and August. Please note that children’s clubs are closed on Wednesdays and additional fees apply. A pre-registration, especially during holiday seasons, is strongly recommended. The 172 luxurious rooms and suites at Anassa offer comfortable space for relaxation. 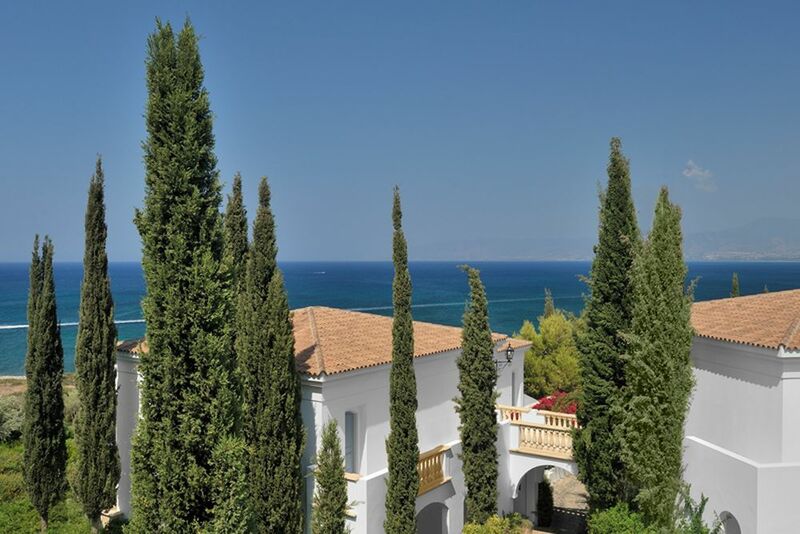 The rooms have air conditioning, ceiling fans, heating, telephone, minibar, safe, satellite TV, balcony or terrace overlooking the gardens and sea. Garden View Room— About 41 m², a balcony offering a perfect view overlooking the gardens for a maximum of 2 adults and 1 baby. 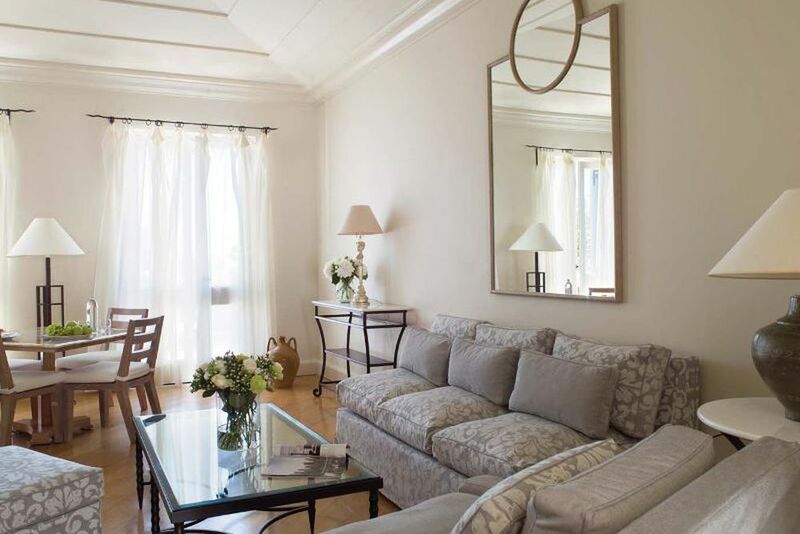 Studio Suite— Approximately 47 m², this suite is located at the main house with a sitting area on its a balcony or terrace. Maximum of 3 adults or 2 adults and one child under 11 years old. Garden Studio Suite— About 49 m², walk down a beautiful winding pathway to your garden residence gem. With vibrant views of Cyprus’s unspoiled coastline, you will find ultimate relaxation when staying in these luxurious studios. Maximum of 3 adults or 2 adults and one child under 11 years old. Garden Studio Suite with Pool— Approximately 49 m², these suites are located down the same winding pathways as the Garden Studio Suite. 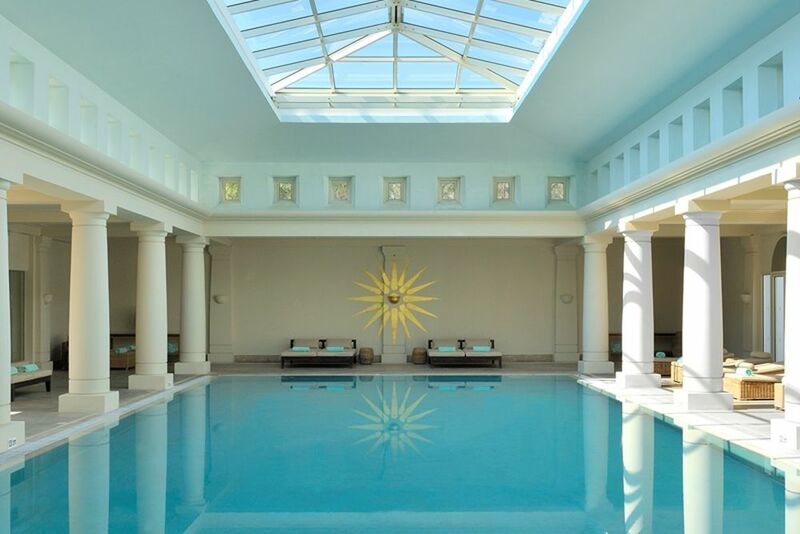 Enjoy the inviting pool that reflects the vibrant views of Cyprus’s glistening sea. Maximum of 3 adults or 2 adults and one child under 11 years old. Junior Suite with Pool— About 53 m², these suites are found in the main building and in individual garden residences. 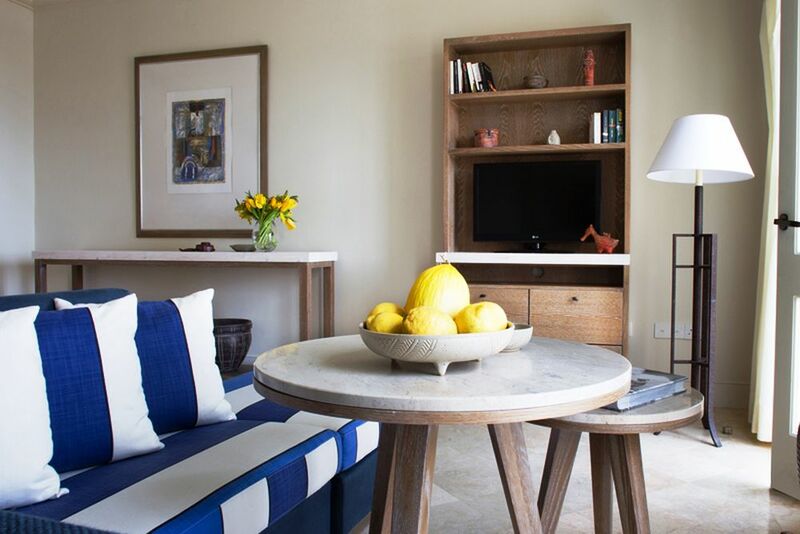 Indulge in your comfortable lounge area while breathtaking seascapes accompany your relaxation. Don’t forget to enjoy the sun out on your private sun terrace and private pool. Maximum of 3 adults or 2 adults and one child under 11 years old. 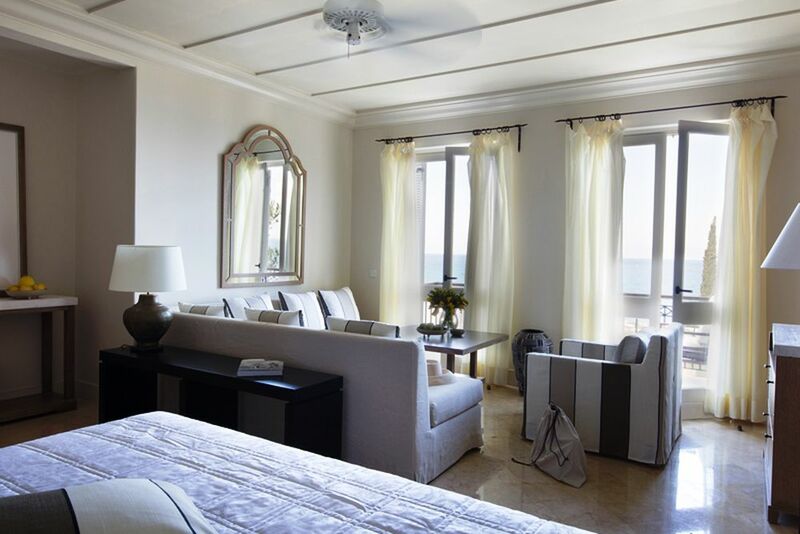 Other rooms and suites, with several bedrooms and private pools, available upon request. The “Thalassa” Spa offers only the best variety of treatments and massages to their guests. Its focus on the restorative benefits of the maritime climate, seawater and marine derivatives brings your mind and soul back to tranquility. Finish your Thalassa Spa experience with a healthy cuisine served after your relaxing day. Even the sport enthusiasts are spoiled when staying at Anassa! Enjoy the two swimming pools and fitness center complete with modern equipment. Try personal training with a coach, or participate in a yoga class. Guests also have unlimited access to the two tennis courts and squash court. Want to be active outdoors? Then try one of the numerous water sports Anassa offers: Water skiing, wakeboarding, windsurfing, kite surfing, canoeing, jet skiing, sailing or parasailing!